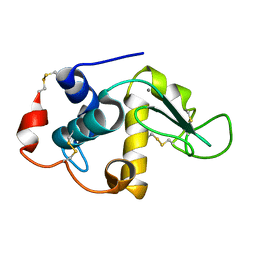 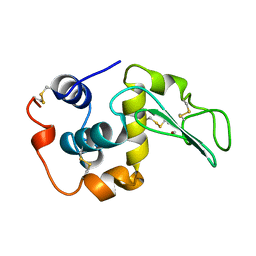 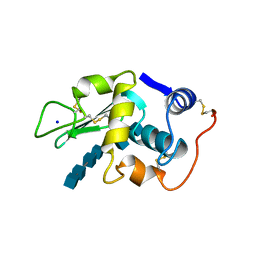 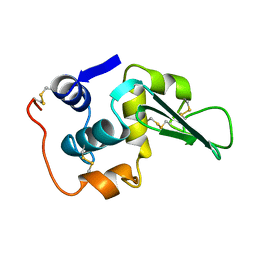 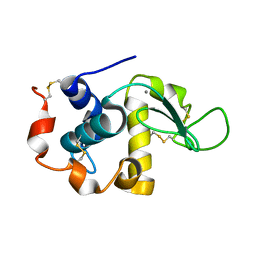 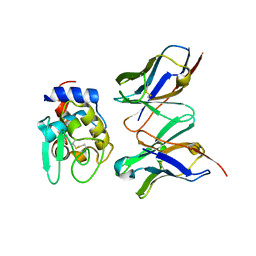 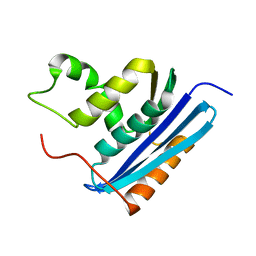 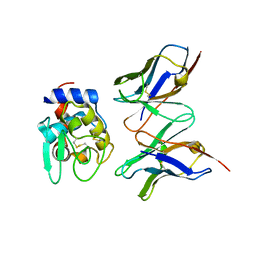 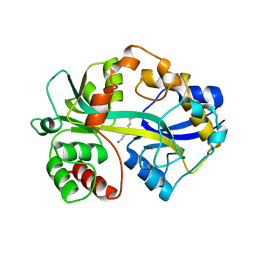 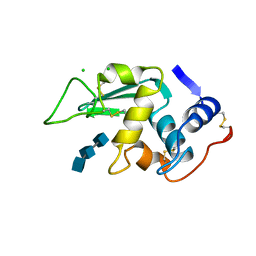 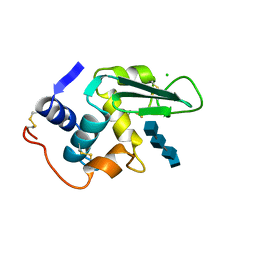 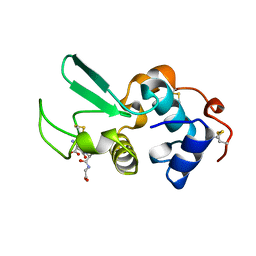 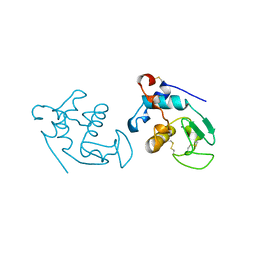 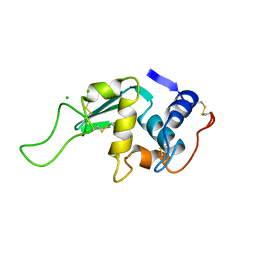 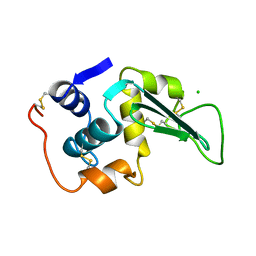 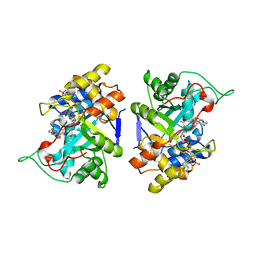 Cite: Structure of a conformationally constrained Arg-Gly-Asp sequence inserted into human lysozyme. 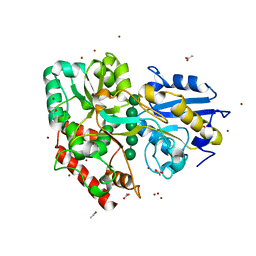 Authors: Katayanagi, K., Miyagawa, M., Matsushima, M., Ishikawa, M., Kanaya, S., Nakamura, H., Ikehara, M., Matsuzaki, T., Morikawa, K.
Cite: Structural details of ribonuclease H from Escherichia coli as refined to an atomic resolution. 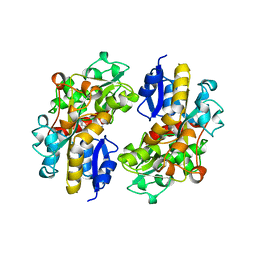 Authors: Oka, M., Matsumoto, Y., Sugiyama, S., Tsuruta, N., Matsushima, M.
Cite: A potent aldose reductase inhibitor, (2S,4S)-6-fluoro-2', 5'-dioxospiro[chroman-4,4'-imidazolidine]-2-carboxamide (Fidarestat): its absolute configuration and interactions with the aldose reductase by X-ray crystallography.